carrots, celery, squash, string beans, potatoes. between partially cut slices, roll in foil and heat. eggs, pizza, casseroles, cottage cheese, gravies, dips, poultry stuffing. 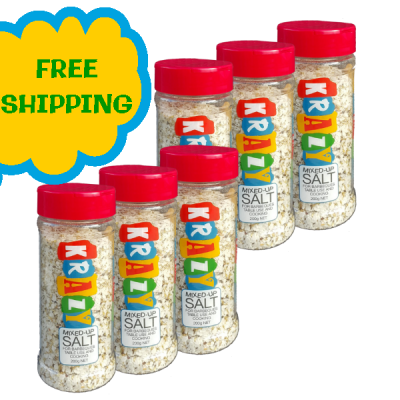 Krazy Mixed-Up Salt is a pure seasoning and contains only natural ingredients. 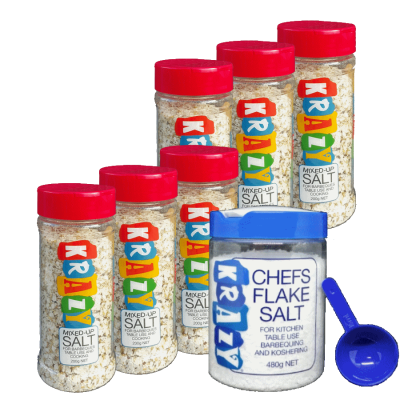 KRAZY Mixed-Up Salt is the only and original crazy salt, crazy mixed-up salt. Created in Australia, made in Australia. Superior in taste and flavour than American imitations like Jane’s Krazy Mixed-Up Salt.